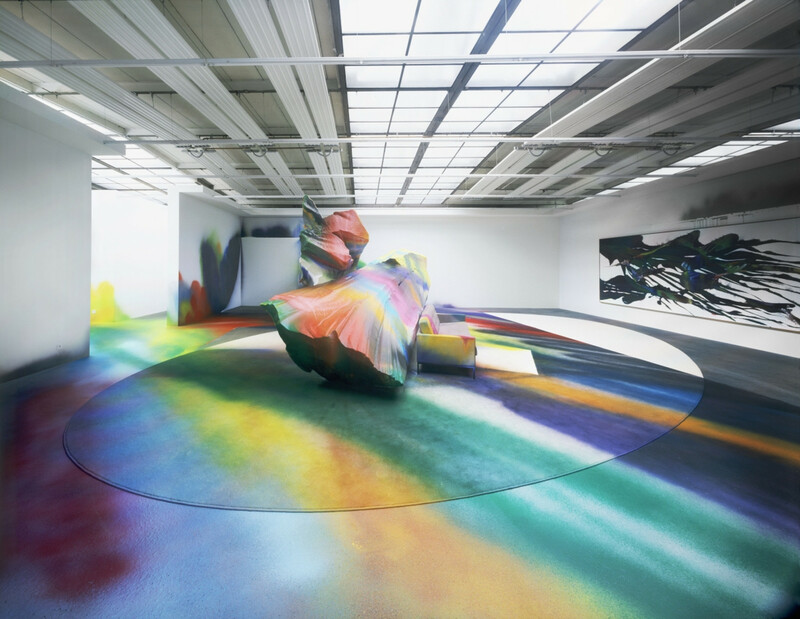 It is with great pleasure that KÖNIG GALERIE is presenting for the first time works by Katharina Grosse over the Gallery Weekend 2012. 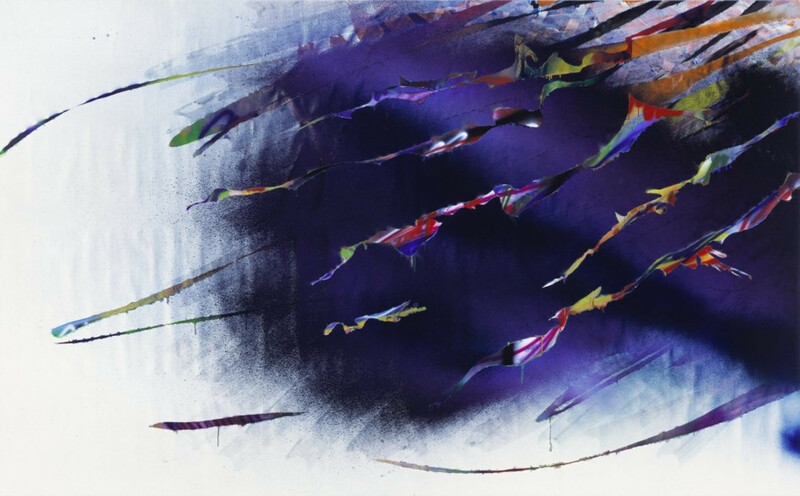 The artist, born in Freiburg (Breisgau) in 1961, extends and enriches the Gallery's programme with a significant position. Grosse transports painting as such into volume, thus confronting seemingly irreconcilable and incommunicable spatio-temporal modes. 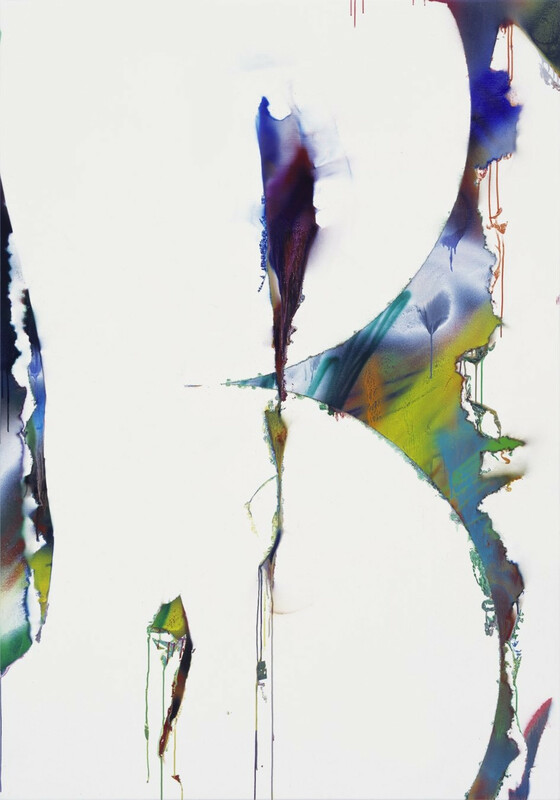 The pictural spaces so created allow the beholder to participate in her investigation into the tangents of possible relationships with the world. 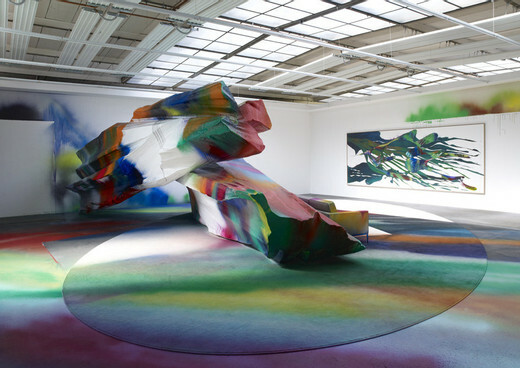 Katharina Grosse’s paintings find their way onto a variety of surfaces – onto the walls of exhibition halls, the facades of buildings, and the surfaces of living spaces, but equally onto heaped-up piles of earth, balloons and large-scale polystyrene objects, as also onto canvas and paper. In our current exhibition They had Taken Things Along to Eat Together Katharina Grosse integrates into her painting, alongside the gallery and canvas surfaces, voluminous, laminated polystyrene objects, a sofa and a carpet. 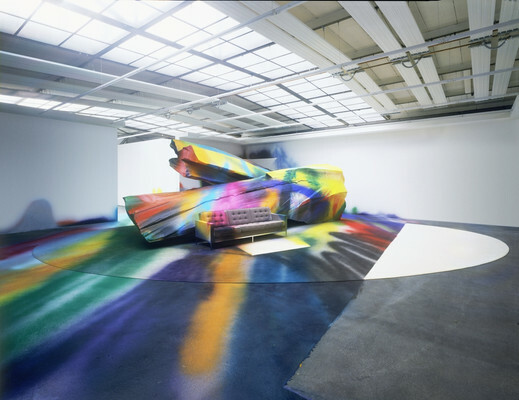 Katharina Grosse’s in situ painting needs an architectural space inasmuch as it displays itself both on it and in distinction to it. 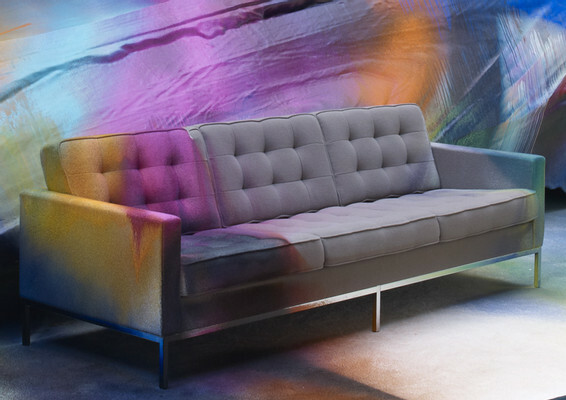 Grosse occupies a space, adding surface to it, and so juxtaposing it with extended possibilities of spatial and temporal co-ordinates. A space that obeys the laws of Euclidian geometry is conjoined to a space whose extension requires no co-ordinates. 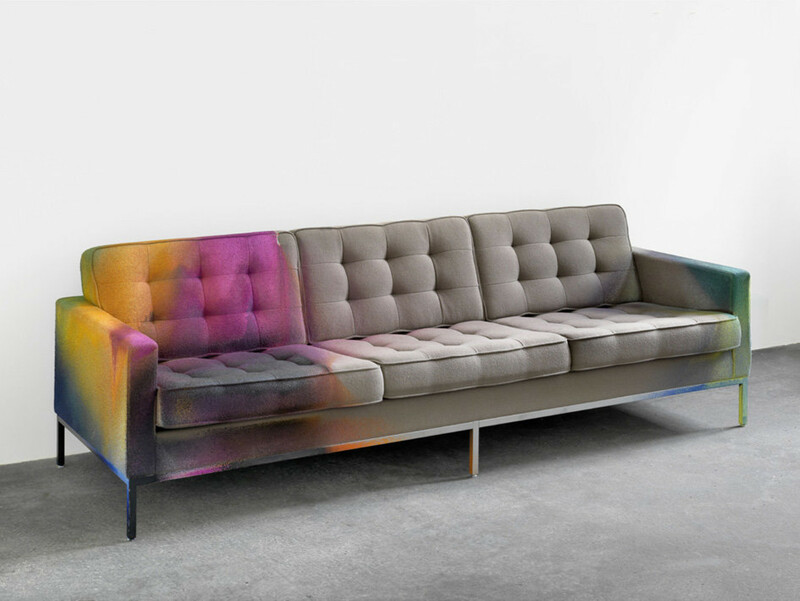 Painting itself becomes volume, so creating a need for a re-scaling – or re-evaluation – of accepted and assumed relations. Through Grosse’s painting, the various objects and their relationships with one another, with the given architecture and with the beholder are released from their original dispensations and are carried over into an open system of reference. Here, the simultaneity of the non-simultaneous and the infinite extension of a compressed space co-exist side by side. 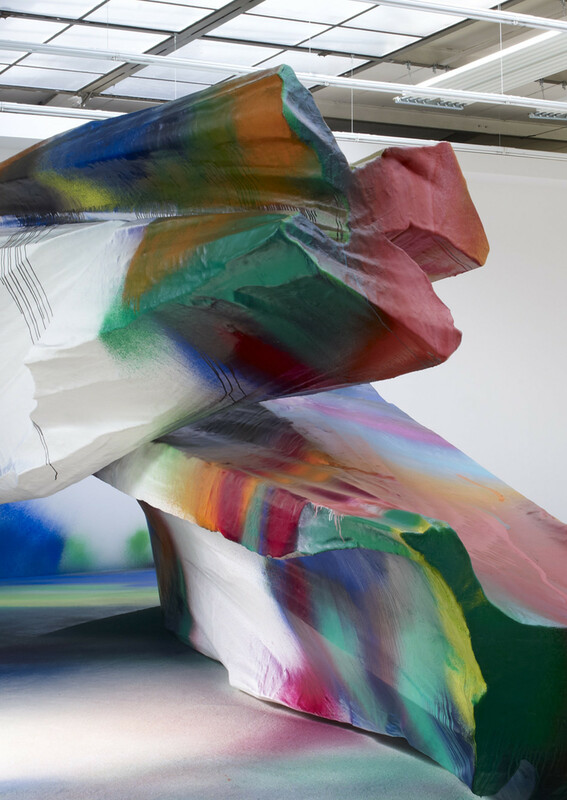 Just as, during the painting process Katharina Grosse never acts solely from one vantage point, so, as the beholder paces through the exhibition, every new glance reveals an ever new painting. Rather as with a mathematical iteration, an infinite number of points of approximation occur, with none of the perspectives laying claim to being able to convey the whole, let alone to being the one, correct perspective. 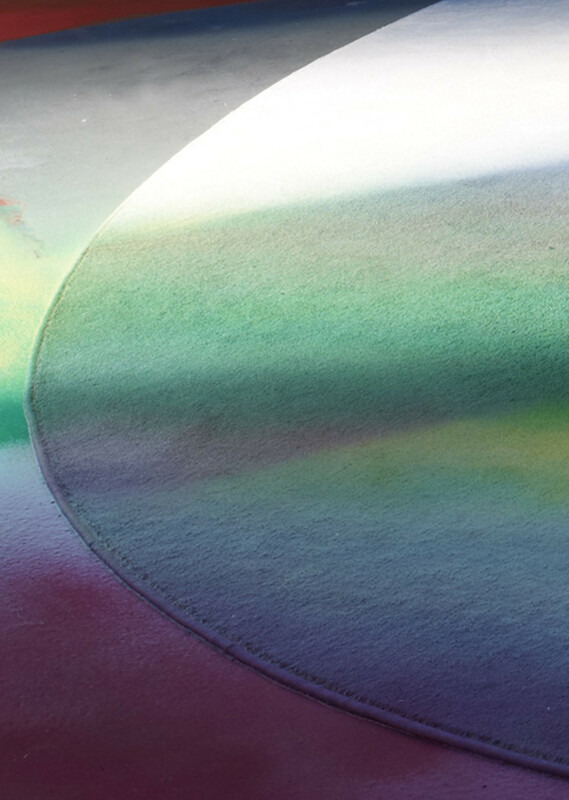 The colourfulness of Grosse’s paintings introduces the possibility of re-tracing a movement or an extension - colour being here, as it were, a litmus paper for relations and spatial conditions. The beholder encounters a pictural form whose openness and variability are not conducive to any traditional system and whose making required no abstraction from the world of objects. Carried over into our everyday world, this could impact not only on aesthetic, but above all on socio-political issues and positionings. Katharina Grosse lives and works in Berlin, where she was Professor at the Kunsthochschule Berlin-Weissensee before in 2010 accepting a chair at the Kunstakademie Düsseldorf. 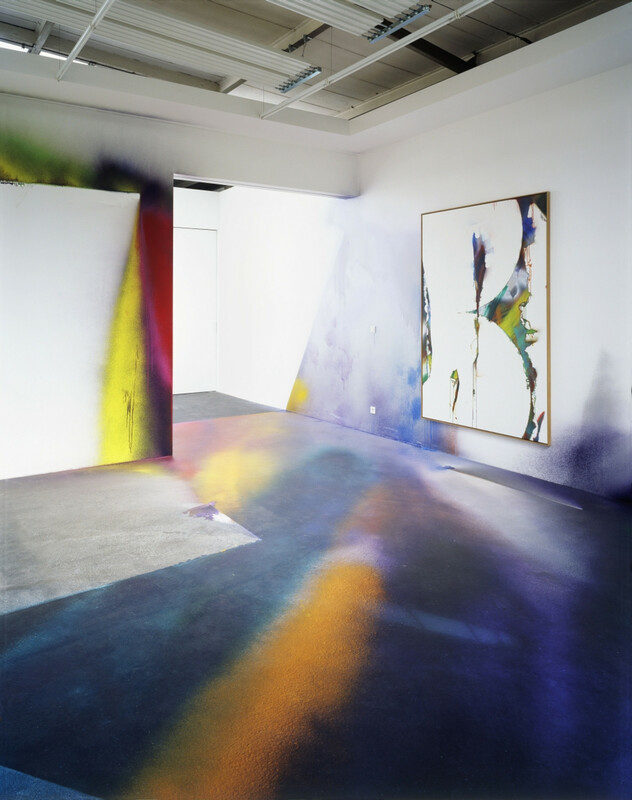 Her works have been presented to a wide audience, both in diverse group presentations or biennales and in numerous solo exhibitions in renowned institutions such as the Denver Art Museum, the Palais de Tokyo in Paris and the Kunstmuseum Bonn. Her works are represented in public and private collections such as those of the Centre Pompidou, Paris, the Museum of Modern Art, New York, the Kunsthaus Zürich or the Kunstsammlung NRW, Düsseldorf.